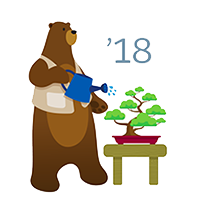 One of the updates that came with the Spring ’18 Released are related to the Tracker domain. This sounds like a great opportunity to dig into the subject of Tracker domains. 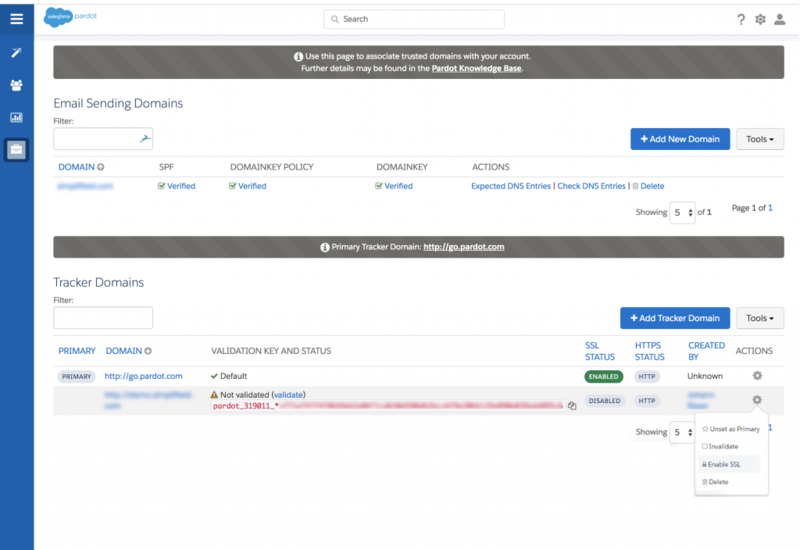 What is a tracker domain, why would you need one and how can you set it up in Pardot? A tracker domain is a variation of your own domain (ie. a subdomain, or alias if you prefer). Even the well know www. falls into this category. A Vanity URL is the part of the URL that comes after the .com (or .eu, .net etc). The ones you might be familiar with are the profile URLs on Linkedin, or Facebook – where you can choose to have linkedin.com/firstlastname instead of the default linkedin.com/12DHZJLABg3. Looks nicer, isn’t it? Why do you need a Tracker domain? We are talking about the tracker domain in the context of hosted content. When you upload the images to your own website the URL will be identical to your main domain (ex. 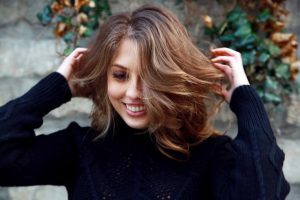 picture1.getawayposts.com). As you can see on the example the image that I want to use in the email got a default go.pardot URL. While this does not in any way impact deliverability or performance the brand experience your end customer gets can be a bit confusing. When we are talking about the images the URL differences might pass unnoticed, but when it comes to downloadable content (like a white paper) or landing page (which is probably the most noticeable). Tracker domain is a pre-requisite for Vanity URLs, you can’t set those unless the tracker domain is defined. How to set up a Tracker domain in Pardot? Note: you must have done the technical CNAME configuration before you can use. For this you need to knock on the door of your IT team or hosting provider to set up a CNAME record for the subdomain you want to use with Pardot. 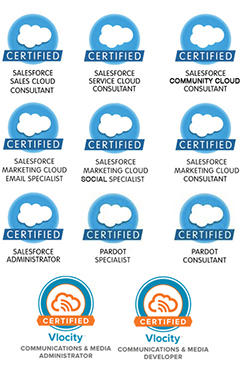 Set the record to point to go.pardot.com. Pardot team make sure to be track with the latest security update that browsers are now following. With Spring 18′ update all Pardot customers can now use their own domain with https for Pardot landing pages and forms.